Autorun Virus Remover 3.3 Build 0712 can detect and clean hundreds of usb/autorun viruses and it will block viruses and trojans trying to attack when USB device is inserted. Autorun Virus Remover provides 100% protection against any malicious programs trying to attack via USB storage(USB drive?USB stick?pen drive?flash drive?flash card?secure digital card?removable storage?portable storage?ipod?media player). Compare Autorun Virus Remover 3.3 Build 0712 with other antivirus solutions, you will find out its highlights: Autorun Virus Remover provides 100% protection against any threats via USB drive, however, the majority of other products are unable even to guarantee 90% protection. Autorun Virus Remover can detect and clean the usb virus/worm/trojan such as Ravmon,auto.exe in your computer or usb drive,it could solve the problem that unable to open a drive by double clicking. It also removes the leftovers of virus by removing the autorun.inf files and cleaning up your system registry, so you won’t see the autoplay item anymore. Autorun Virus Remover 3.3 Build 0712 uses innovative proactive technology to block any threats via USB drive. There are relatively few products available in shops or on the Internet which offer even close to 100% protection against any malicious programs via USB drive. The majority of products are unable even to guarantee 90% protection. 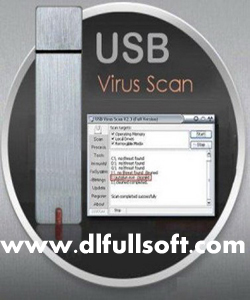 Autorun Virus Remover is the world’s best software to block threats via USB drive. With Autorun Virus Remover 3.3 Build 0712, its not necessary to sacrifice speed for detection and scanning. Compare antivirus software and you’ll discover that Autorun Virus Remover is by far one of the smallest applications in the industry. For example, the Autorun Virus Remover installer is just 1 MB. The program utilizes approximately 1 to 7 MB of RAM. Incompatibility between antivirus programs is an issue. In the vast majority of cases, installing two antivirus programs from different vendors on one machine (for increased protection) is technically impossible, as the two programs will disrupt each other’s functioning. However, Autorun Virus Remover is 100% compatible with all software, including Windows Vista.